Our director Lee Hillam, has written a review of Woods Bagot's Short Lane residential and retail building in this months issue of Architecture Australia. Dunn & Hillam have been working with Camden Council to design a new amenities building to sit within the historic Curry Reserve. The park is to accomodate a new inclusive water play facility, and our amenities building will play a vital role in the success of the park as a whole. We have just finished the construction tender documentation of this project, and look forward to seeing it develop over the coming months. Director Ashley Dunn has written a review of Lismore Regional Gallery by Dominic Finlay Jones Architects in this months issue of Architecture Australia. Dunn & Hillam Architects were featured in Houzz magazine - room of the week. This months Houses Magazine has published a profile on our practice and work. 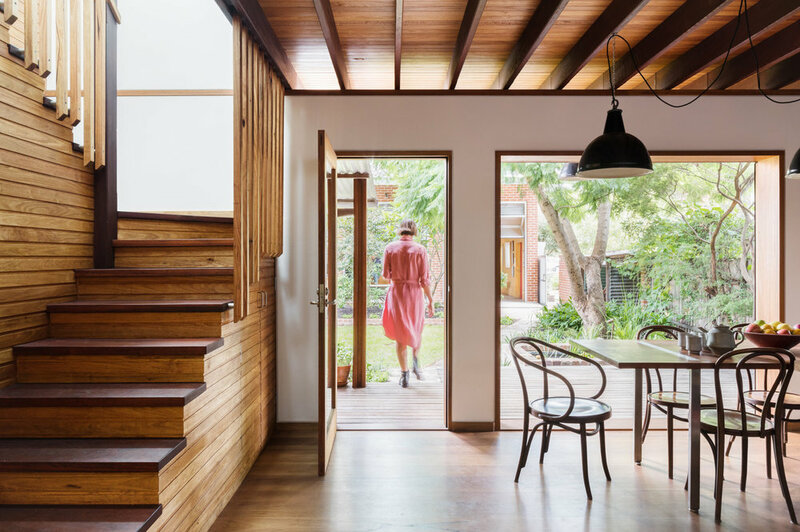 Director Lee Hillam has written a review of Andrew Burns' Cowper Street Housing in this months issue of Architecture Australia. We are excited to announce that Dunn & Hillam Architects are designing new pop-up studios for Sydney Dance Company whilst the Walsh Bay precinct is being redeveloped. Dunn & Hillam Architects were selected as one of the“Best of the Best” on Channel Ten’s Australia By Design after winning the NT show. Tzannes Associates’ adaptive re-use of the former Kent Brewery in the heart of Sydney’s Central Park retains the brick facade and inserts part of a trigeneration plant that powers the neighbourhood. The Department of Planning and Environment has released a Design Guide for Medium Density housing and are testing it by launching a competition where they ask designers to produce a speculative design as a test case. Our Director Ashley Dunn flies to Melbourne this week to work with the B Lab people to help them organise their annual international Champions Retreat. Next year they’re holding it in Alice Springs and have asked us to bring our Central Australia experience to the group.